1. Prepare both boxes of rice. 2. 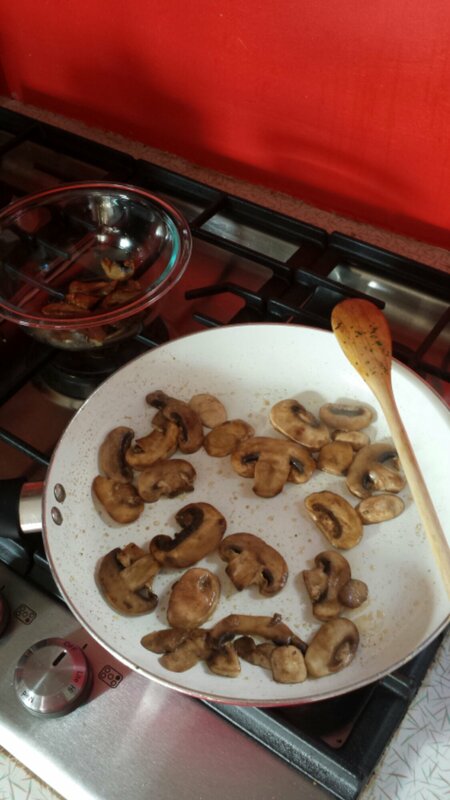 Saute mushrooms in a tablespoon of butter and a tablespoon of oil. Set aside. 4. 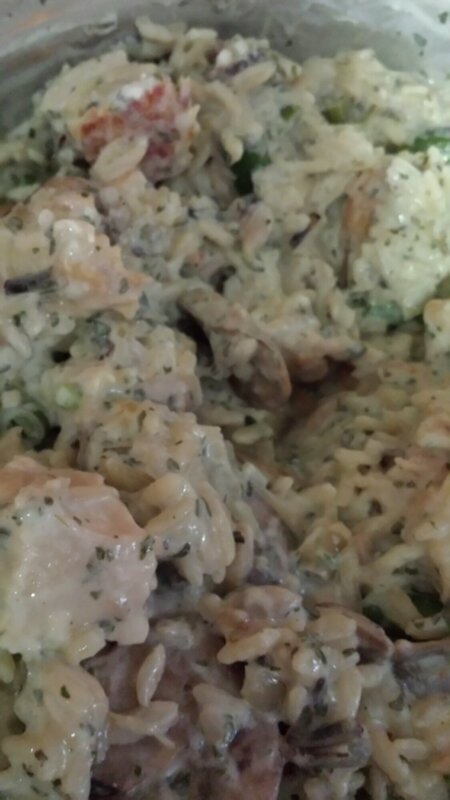 Mix the chicken, rice, mushrooms, and broth mixture together in a large bowl. Season to taste with parsley, salt, and pepper. 6. 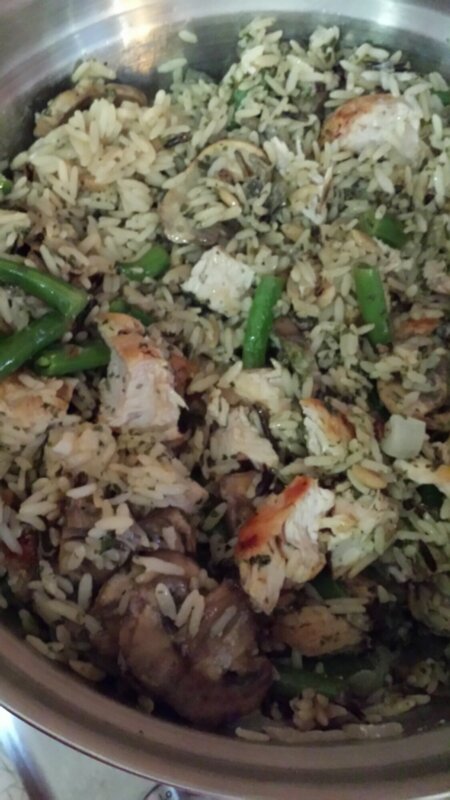 I split this recipe into two 8×8 pans. Let cool and cover with foil. Reheat at 350 degrees for 30-45 mins until bubbly. 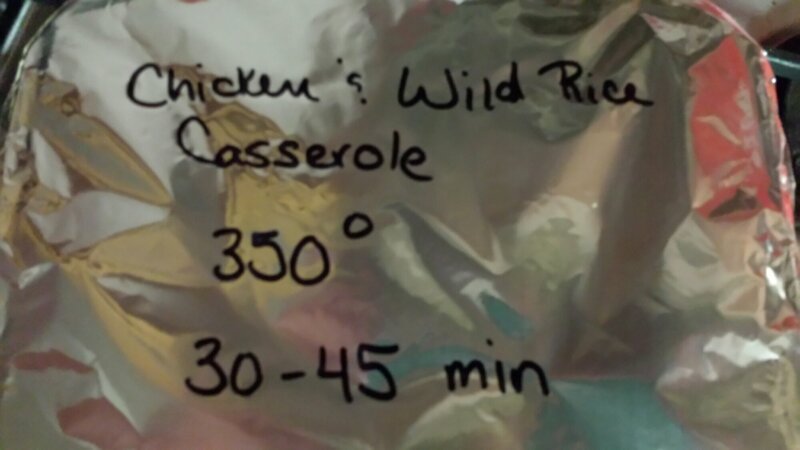 This is becoming a go to in my freezer recipe collection, it’s very easy to assemble and reheat.